From September 14th, Bistro 100 Maneiras welcomes “Out of the Cork”. A cycle of wine lunches that happen every Friday, where happiness is served by glass. If, in the vineyards, September is the month for harvest, at Bistro the date marks the beginning of the cycle “Out of the Cork”. Every week, always on Fridays, the restaurant located in the heart of Chiado organizes lunches where wines are the main stars, with a different producer serving as a motto for each date. Besides these lunches, once a month, there will be a lunch “Out of the Box” – an event where we raise the bar and elaborate menus with wines that are out of the ordinary. Unlabeled nectars, 100 Maneiras wines, a lunch accompanied exclusively by white or red wines, old or new, monovarietal… anything is possible. Happiness, after all, can served in more than 100 different ways. The beginning of the cycle will happen this Friday, September 14th, with the wines of Quinta do Poço do Lobo, from Bairrada. 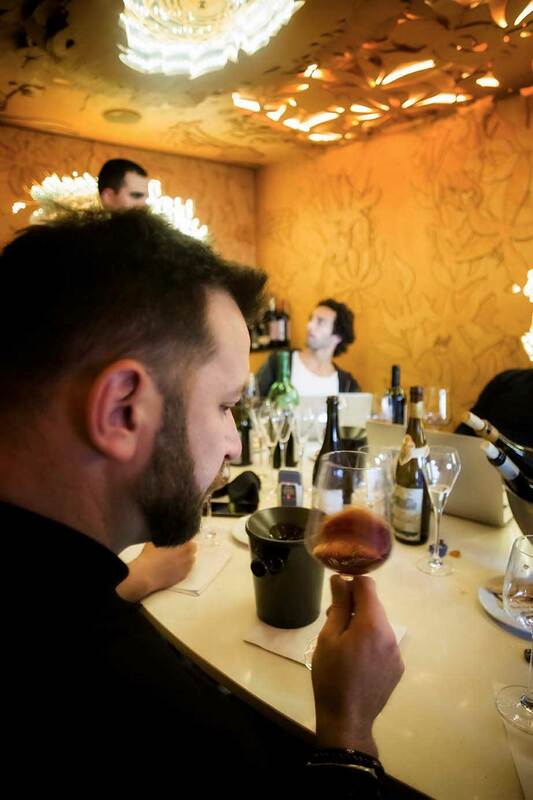 At the table, will be the tasting menu created by chef Ljubomir Stanisic and his team, consisting of four dishes, some of them designed exclusively for this moment taking into account the characteristics of the wines chosen. Shellfish and apple aspic with cauliflower cream; Braised mackerel and demi-glace; and Dry-aged sirloin steak with smoked and grilled peppers are just a few examples of what you can get taste on this day. The schedule for 2018 is followed by names like Quinta do Monte D’Oiro, Herdade do Esporão, Quinta do Sibio, Casal Santa Maria, Monte da Ravasqueira, Herdade de Coelheiros, José Maria da Fonseca, Quinta das Tecedeiras, Quinta de Murças, Quinta das Carvalhas, CARM, G.H Mumm and Perrier-Jouët. For 2019, new names, new challenges – for now, in the secret of Bacchus. And because happiness is always greater when shared, on these dates it will be possible to take home the same wines served at the table, at 50% of their price on Bistro’s menu. Bistro 100 Maneiras wine lunches will cost 40 euros per person, with wines included, and are limited to a maximum of 25 people per lunch.